I am a huge fan of green tea ice cream, and although this one doesn’t look green, it is one of the best I’ve ever had. 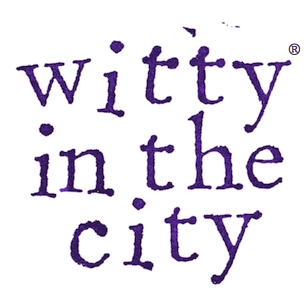 It is refreshing, mellow, and perfectly sweet. Of the three ice creams I have made so far (one of which isn’t good enough to share with you yet), this one has the best texture by far. And surprise: I made it with skim milk (and cream and egg yolks, don’t worry, it’s not too healthy)! To make this ice cream, first choose your favorite green tea. I went with regular green tea bags because I didn’t think a floral green tea would translate well to ice cream that I want to eat by the bucketful. You need 6 tea bags. Then, heat 1.5 cups of milk (skim milk works just fine) until it begins to steam. 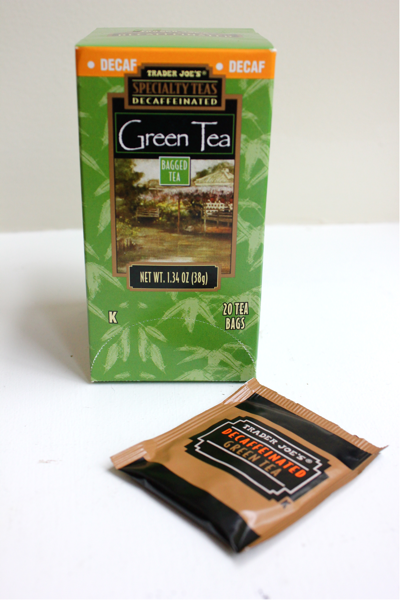 Stir in your tea bags, remove the milk from the heat, and let it come to room temperature. Then, put the milk and tea bags into the fridge and let them continue to steep for at least 4 hours. 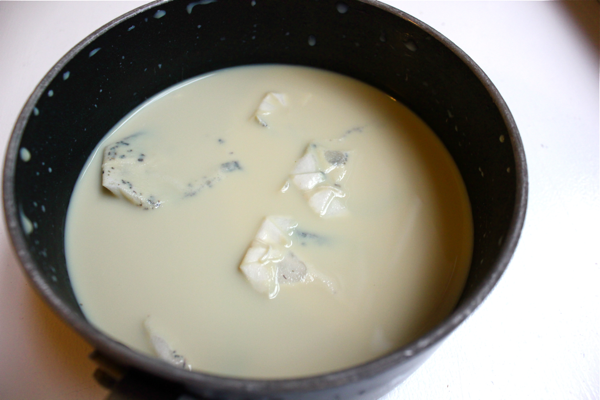 Remove the tea bags from the milk and squeeze all of the excess liquid from them. Add 1 cup of cream into the pot, and heat it up again until the milk steams. In another bowl, whisk together 5 egg yolks, 1/2 cup of cream, 3/4 cup of sugar, and 3 tablespoons of honey. 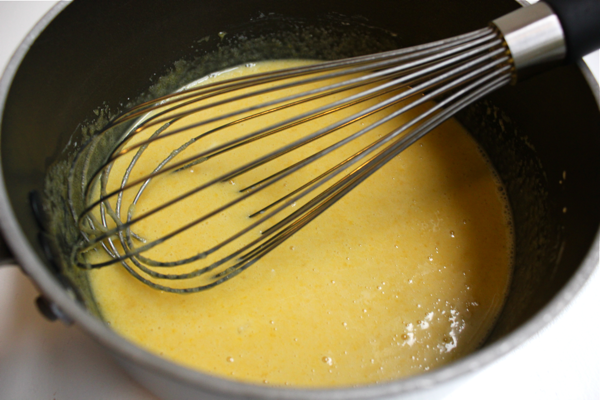 Once those ingredients are combined, whisk in a few spoonfuls of the hot cream mixture in order to temper the egg yolks. Add a few more spoonfuls of the hot milk, and repeat. 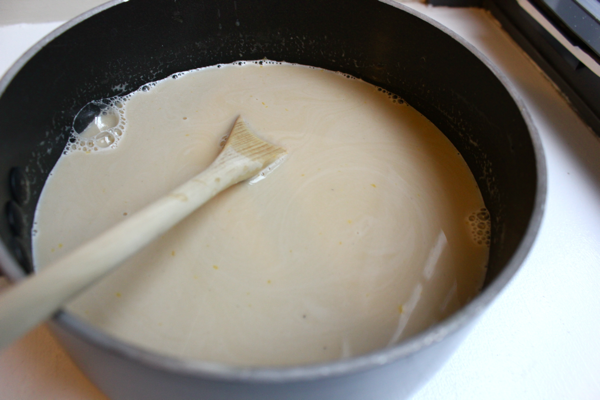 Once the egg mixture is adequately warmed up, pour it into the pot of hot milk. Stir the pot over a low-medium heat until the mixture thickens enough to coat the back of a spoon. Don’t let the milk boil. Remove the mixture from the heat, and let it come to room temperature. Then, put it in the fridge until it chills. 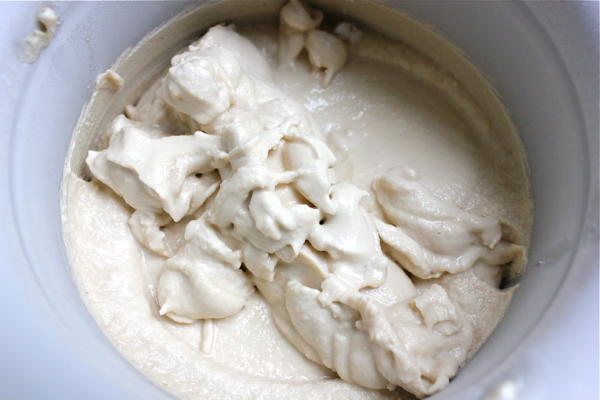 Freeze the chilled mixture according to your ice cream maker’s instructions. Try not to taste it while it churns or else you may end up eating the whole thing! Transfer the ice cream to a container, and freeze it until the ice cream hardens further. I really love this one. David identified the honey in it at his first taste, and that made him happy. This recipe is from Williams-Sonoma. Very interesting and innovative that you made green tea ice cream out of green tea tea-bags. That kind of tea would be called sencha in Japanese. Most green tea ice cream is made from maccha, which is used in the famous “Tea Ceremony” of Japan. Maccha is actually powdered green tea leaves. It is naturally very green. It is very expensive whereas tea bags are not. It sounds interesting and fun. Made the Pork Brine recipe last night…so delicious! Moist and tender not to mention so easy. Looked beautiful on the plate with sauteed onions and peppers! 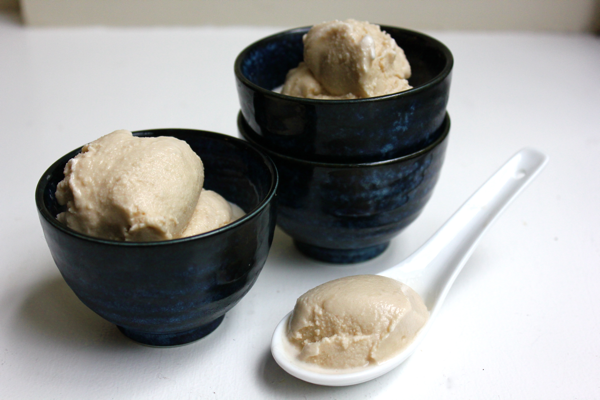 Have you ever tried making this ice cream with Sencha instant tea (by SISEL Int’l) or Matcha green tea powder? I’m looking for a recipe that uses the ultra fine powder vs a liquid tea. I haven’t, but I do have some matcha hanging around my pantry. Sounds like a delicious way to close out the summer!